Some Bulkr users might have noticed recently that there are some hiccups with Flickr search – the above screen shows up when doing photo searches. This has been going on for a while as Flickr staff have reported in the help forum. To view the detailed discussion please check this thread on Flickr. Jan 06 2011: There are hardware and software issues affecting the search function in Flickr. Our operations team is aware of these problems and working on them. This will probably be an issue for few more weeks. We understand how important it is to make your work available in searches and it is important to us as well. Dec 30 2010: There is an issue with search that is causing some lag and inconsistent results in search. Because of this you may not see some images when doing searches, tag searches, or when using the API search. On Jan 6th, it was mentioned that this issue will continue for “few more weeks”. Apparently this still hasn’t been fixed. So for now all we can do is cross our fingers and hope that this will be fixed sooner than later. If you have any question, please contact me from the feedback page. Thanks Flickr and Prakaz for the updates on the problem. 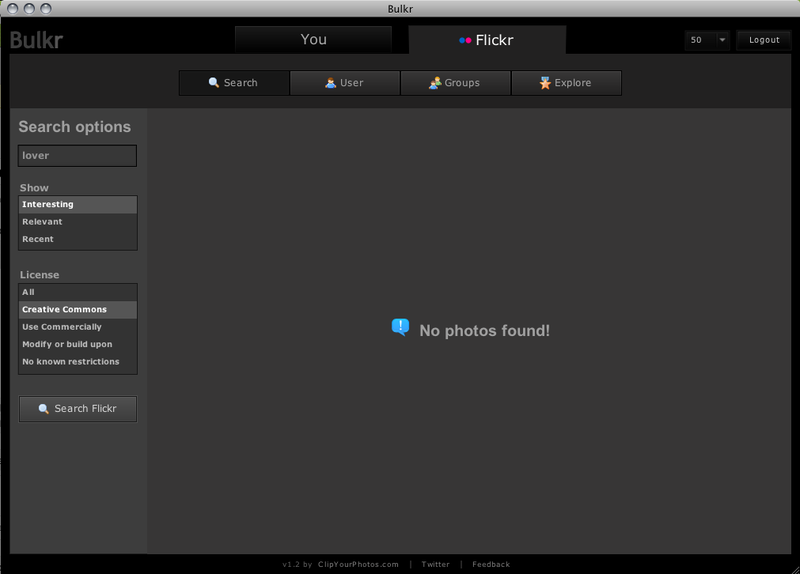 I just experienced it when I tried to search my Bulker photostream. Hope you solve the problem soon. Few more weeks! Aargh! It was working ok for me until now! Too many users searching at the same time, perhaps? Previous Previous post: Bulkr recommended by Adobe! Next Next post: Buttons inside Bulkr not responding? This will help.